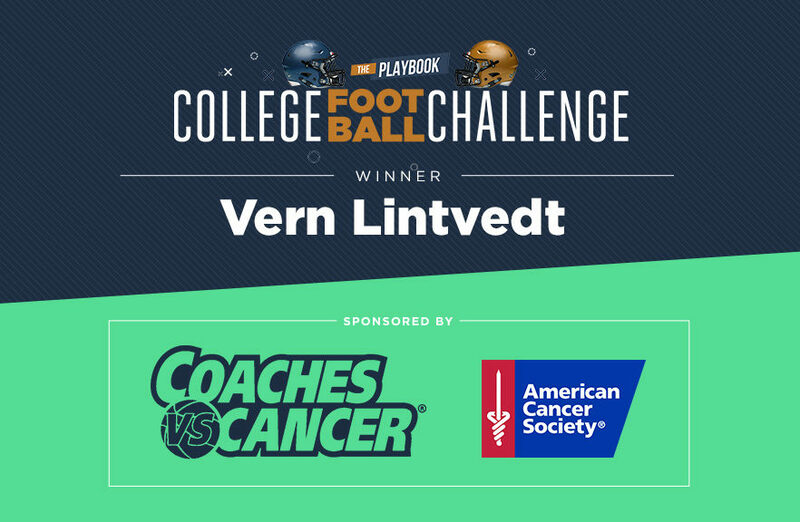 When St. Louis area attorney Erik Lintvedt was named the winner of last fall’s Week 12 GoodBookey College Football Challenge, sponsored by the American Cancer Society, he decided to give his prize to the most inspiring cancer survivor in his life—his father, Vern. Vern Lintvedt happily agreed to take the prize package, an all-inclusive trip to Las Vegas, and use the journey for an unforgettable bonding experience with his other son, Travis. The Lintvedts enjoyed an all-inclusive trip to the entertainment capital of the world, complete with airfare, VIP pre-party, two VIP tickets to the ACS Coaches vs Cancer basketball tournament, and two nights at the strip’s newest hotel, the Park MGM. In addition, the pair enjoyed appetizers and gameplay at Topgolf. It wasn’t so long ago that Pastor Lintvedt wasn’t doing so well. “In 2013, I was diagnosed with non-Hodgkin’s lymphoma,” he explained. While his oncologist said it was the best possible news after Lintvedt’s biopsy, the jovial pastor was in for a harrowing journey. Now 65, Lintvedt has gone through multiple rounds of chemotherapy, several hospital stays, and an autologous stem cell transplant. He’s thankful to be in remission, counted as a survivor. Some of his favorite hospital pastimes included setting up toy army men to knock down with rubber bands from his bed, as well as flying remote control helicopters around his room, much to the chagrin of nurses charged with administering $10,000-per-bag chemotherapies via IV infusion. We are thrilled to see our mission playing out in action for people like Vern. Nothing brings us more joy than hearing about the small impact we have made in someone’s life. For more information on the American Cancer Society and its initiatives to support cancer research and other programs benefiting patients and their families, visit www.cancer.org.